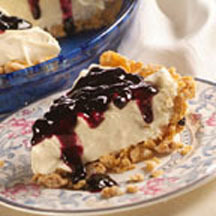 CooksRecipes has quality, kitchen-tested recipes for a variety of blueberry pies that you can count on for successful deliciousness. 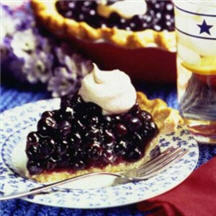 This Family-Favorite blueberry pie recipe is a definite keeper! Expect rave reviews when you serve this exceptional pie to family and friends. An easy to make, fresh blueberry pie that's doubly good thanks to the simple glaze made with blueberry jam or fruit spread. 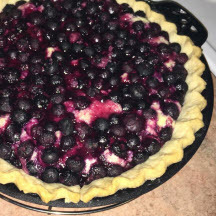 If you like blueberry pie, you’ll love this twist on the summer classic...and you don't have to wait until summer to enjoy it! From the kitchen of Merna Hanson of Juniata, NE.